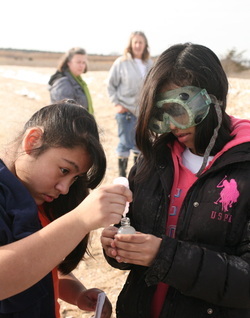 In 2012, Chincoteague Bay Field Station created Accomack County's first Living Shoreline site in Greenbackville, VA through a partnership with Shippensburg University and local community members. 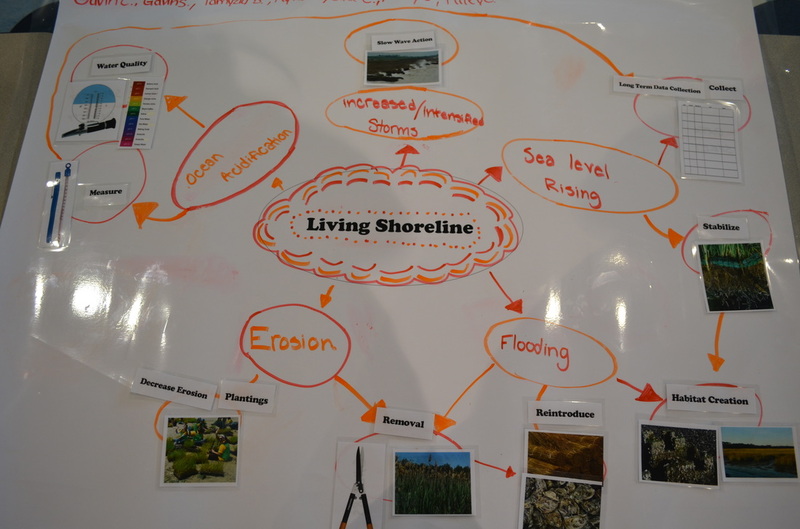 Today, the Living Shoreline site is an outdoor classroom where students in our school programs and families in the SPARK program learn about the effects of sea level rise on coastal communities. College students and faculty monitor the success of restoration and mitigation efforts. This program is funded in part by a grant through the Environmental Protection Agency. 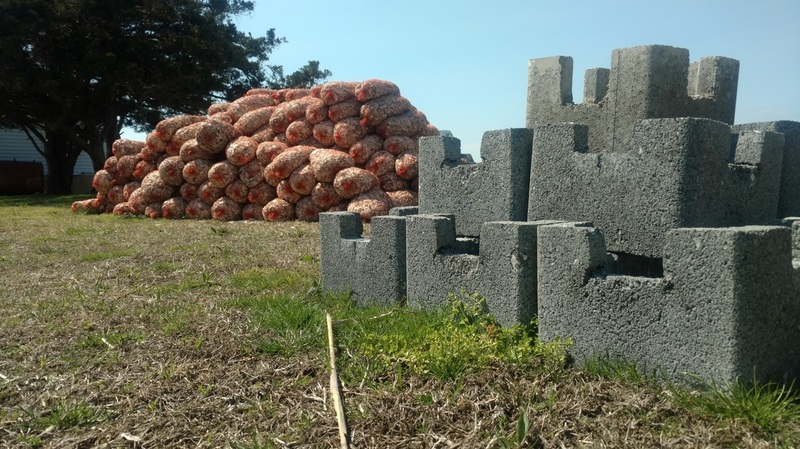 Providing new substrates, including Oyster Castles, to encourage the recovery of oyster reefs. CBFS monitors water quality, biodiversity, and erosion. Restoring tidal channels and natural marsh circulation. 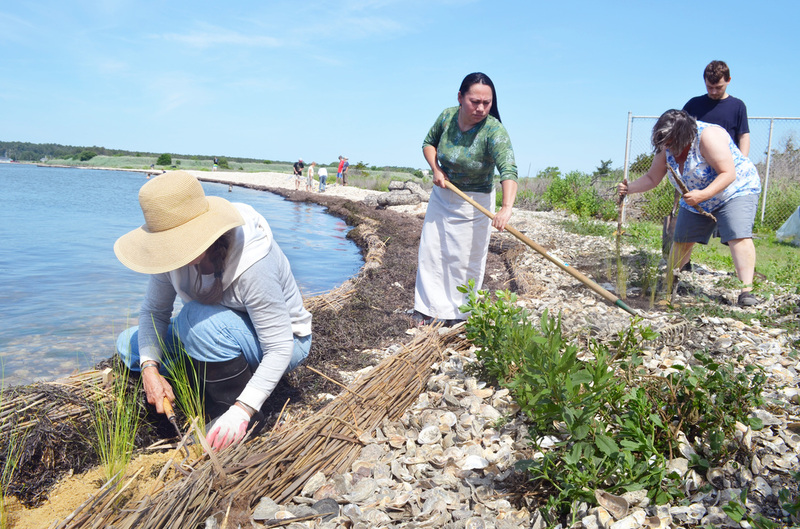 Removing invasive Phragmites australis and planting native Spartina alterniflora and patens. Launching the CBFS ICON (Integrated Coastal Observation) Project. Each ICON station records water level, salinity, temperature, and barometric pressure. Community Education - CBFS provides opportunities for locals to learn about protecting their own properties from extreme storm events and sea level rise through a series of Community Collaborative Meetings and Community Action Days. 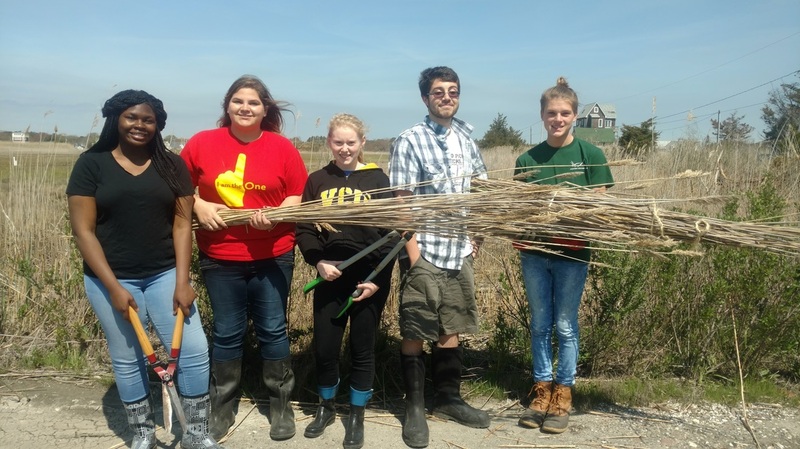 CBFS provides subsidized field trips for local middle and high schools on the Eastern Shore of Virginia and Maryland to learn about climate change and resiliency. 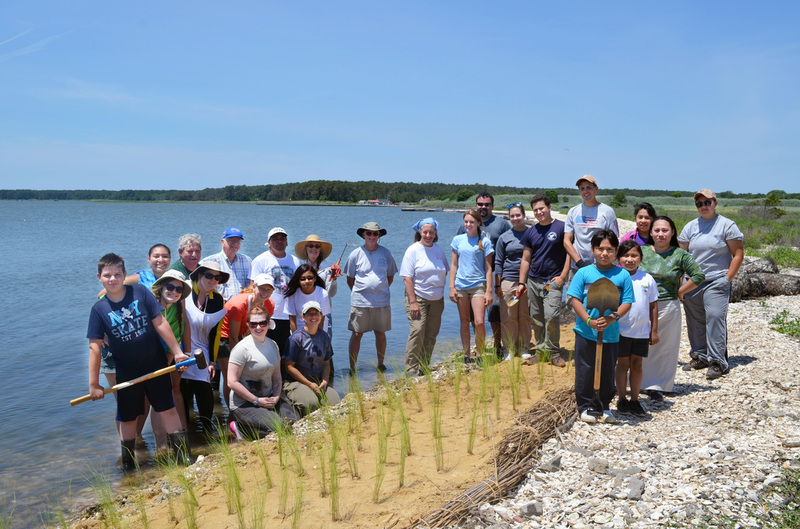 Are you a local family interested in joining the SPARK Living Shoreline Team?